Principle One – Forest School is a long-term process of frequent and regular sessions in a woodland or natural environment, rather than a one-off visit. Planning, adaptation, observations and reviewing are integral elements of Forest School. 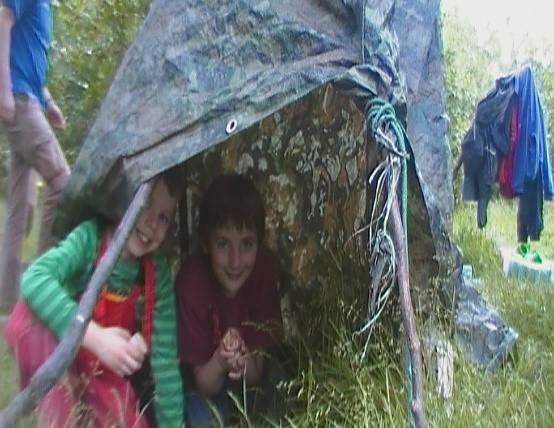 Principle Two – Forest School take place in a woodland or natural wooded environment to support the development of a relationship between the learner and the natural world. At Newfield Park we are particularly lucky to have three Forest School sites. Principle Three – Forest School aims to promote the holistic development of all those involved, fostering resilient, confident, independent and creative learners. Forest School programmes aim to develop, where appropriate, the physical, social, cognitive, linguistic, emotional, social and spiritual aspects of the learner. Principle Four – Forest School offers leaners the opportunity to take supported risks appropriate to the environment and themselves. Any Forest School experience follows a Risk-Benefit process managed jointly by the practitioner and learner that is tailored to the developmental stage of the learner. Principle Five – Forest School is run by qualified Forest School practitioners who continuously maintain and develop their professional practice. The Forest School Leader is a reflective practitioner and sees themselves, therefore, as a learner too. Principle Six – Forest School uses a range of leaner-centred processes to create a community for development and learning. Play is recognised as vital to learning and development at Forest School.